A company focused on the newest developments in the digital world is often as good as the tools it is using. No matter how argumentative a debate can go, the truth that software tools allow businesses to streamline their workflow and increase their productivity is just that simple. There’s no way around it! Without the proper social media tools, companies just won’t be as successful or as productive. Thus, in our constant mission to inspire and provide with insights, we’ve decided to create a helpful list of the best tools you can use to make your business that much profitable. We’ve discussed a similar topic previously, highlighting the most useful tools for social media marketers. If you are an individual, you might find our other list to be more helpful. We also have a list of best tools for digital marketing agencies. However, with this list, we are rather targeting startups and businesses which need powerful software tools to manage their workflow in a streamlined manner. With that in mind and without further adieu, here are the top social media tools. Let’s get started! Whether you are planning the future of your brand or just need a list of helpful tools, one of the first items on that list should be a project management tool. Letting you easily keep track of your social media marketing campaigns and further helping you manage the tasks of each team and individual employee, a tool for project management is a must in our digital day and age. 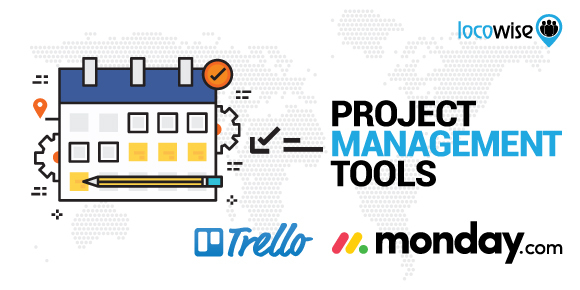 When it comes to project management tools, the list of available tools is so long that it is worthy of a post on its own. Nevertheless, one of the most popular and reliable tools for teams of all sizes is Trello. Among the advantages of Trello are its integration with other tools, the helpful add-ons and the board-based project management. Previously known as DaPulse, but recently re-branded under the Monday.com name, Monday is a great Trello alternative that is just as useful. One of the advantages of this tool is the streamlined and clean interface that allows you to customize each different task in an easy and design-centric fashion. You can’t have a social media campaign without the proper social media tools. 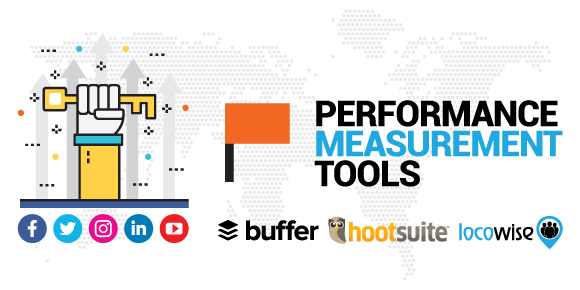 From performance measurement tools, such as our very own Locowise, to post scheduling tools, such as Buffer, here are some of our picks for the must-have software tools. Buffer is hands down one of the best social media scheduling tools available on the market today. With an intuitive interface and scalable to fit multiple social media profiles and team users, Buffer is certainly one of the best choices in social media scheduling. Hootsuite is a powerful tool for keeping track of your own social media brand accounts. With easy to set team roles and allowing you to better monitor your company accounts, it is a definite must have tool teams. We don’t want to be arrogant or anything, but we do take pride in our tool. Build from the ground up to be the best social media performance tools, Locowise has a number of unique reporting features and an easy-to-use interface that allows you to easily keep track and analyze a multitude of different brands, social media profiles, campaigns and more. Make sure to click to learn more about all the different features we offer. To keep a streamlined workflow process, you also need to have the right communication tools. Whether for easily connecting or keeping the conversation going with your team in and outside the office, a communication tool is another must-have on the list of tools. Slack is often considered to be the number one tool for team communication for businesses in a multitude of industries. Great for social media teams, one of the biggest benefits of Slack is its integration with a huge array of helpful social media tools, including our very own Locowise, Buffer and much more. There is a huge number of Slack alternatives that are currently available on the market. 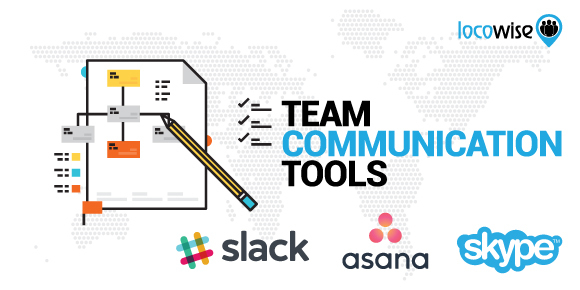 Arguably just as powerful, Asana is one of them. While Asana is generally focused on providing the best solution for software development teams. Last, but not least, Skype is one of the most mainstream communication tools available on the market. As a whole, we would not advise social media marketers to go with Skype, as it’s not the best tool for communication, especially for big teams that need to have specific channels for communication of multiple campaigns at a time. Nevertheless, it is a tool to keep in mind, as some still stick to using it and it has some advantages, such as multiple user video chat that might be helpful in managing international teams and more. Last, but not least, a social media team also needs to have proper file management. The following cloud-based solutions are beneficial to a business each in its own respective way and at times, you might even need to combine one or two solutions, depending on your workflow process. Google (Alphabet) provide businesses with one of the most powerful collections of cloud-based tools under the GSuite brand. 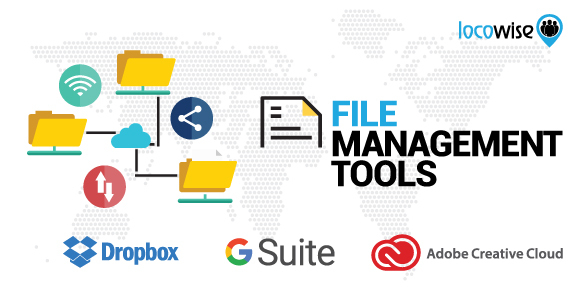 Perfect for file management for both small and large digital marketing teams, GSuite is a well-recognized and respected easy to use tools that provide with easy document sharing capabilities. Great for keeping track of reports and powerful to integrate with other software apps, it is a definite must for a streamlined workflow process. Depending on the specific nature of your digital marketing brand, Adobe Creative Cloud might be a perfect business solution for multimedia file sharing. The best choice for social media marketers who take advantage of Adobe Photoshop or Adobe Premiere Pro, the Creative Cloud and its array of digital multimedia solutions is a nice tool to keep on your list. Another great tool for cloud file sharing that easily integrates with other software tools is Dropbox. While not the first choice of most social media teams, Dropbox might have certain advantages over GSuite and Adobe Creative Cloud, such as its integration with MS Office apps and more. Whether you are specifically focused on social media or have a broader digital marketing service list, email marketing is certainly something that you’d need to keep track of. Here are some of our top picks for the best email marketing tools. 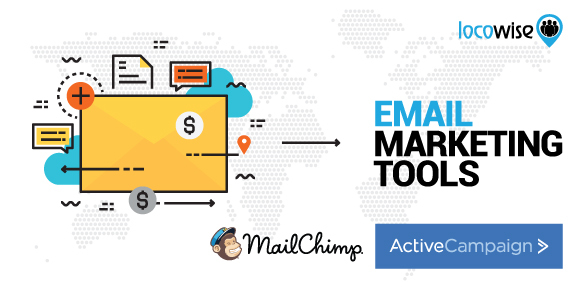 MailChimp is one of the perfect starter tools for email marketing. The best choice for social media teams, which only need simple software to keep track of their own mailer, MailChimp is easily scalable and allows the easy tracking and analytics of your newsletters. Gaining more popularity in recent days, ActiveCampaign is a highly powerful tool that helps you customize your email campaigns in extreme detail, based on the response and activity of users and much more. This tool goes beyond a simple email marketing app, so it is something you might want to check out, especially if you are a part of a social media team. 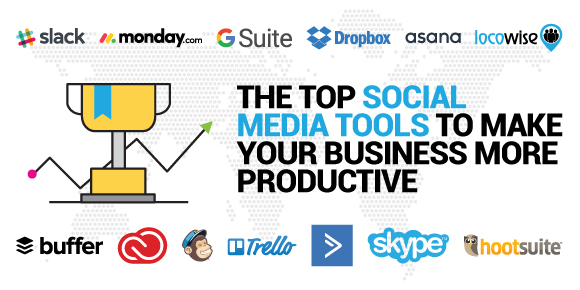 Of course, there are a multitude of other helpful software tools that might be a great addition to the workflow of any social media team Here are a few ones, which we like to use and believe might be perfect for brands of all sizes. A highly powerful tool, IFTTT allows you to easily integrate different tools in a variety of ways. One of the outstanding features of this tool is that it allows you to create recipes that automate certain processes based on different triggers (such as a new post on a social media profile, and more). It goes without saying that MS Office is still an integral part of the software backpack of any company. Whether you’d need to create specific Macro functions for data analyzing in MS Excel or edit out a report in MS Word, the MS Office suite is a must-have in any scenario. Not everything is about the content you create. In fact, if you are a social media team, chances are you will definitely need to keep track of what’s happening in multiple industries at a time. That’s where Feedly comes in. This tool allows you to easily subscribe to media outlets and other website and be up to date with everything that’s going on in different industries. On the topic of consuming content, Pocket is another helpful tool to keep on your list. While a more individual-based tool, Pocket is nevertheless a powerhouse in helping you save and share different stories you find interesting. If you need some apps or sites that make the digital marketing task a lot easier, it is worthwhile grabbing a free trial for Locowise. That’s seven days for free.